Thank-you for visiting. We hope you come again. My pet pug, Winston, has been gone for two months. 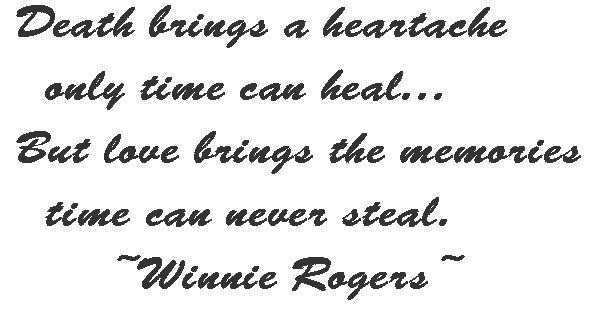 My heart has been broken and very difficult to heal. He was a loving friend for twelve years. Thank you for providing such a helpful way of sending a message of sympathy to someone who has lost a much loved pet. Thank you so much for creating this beautiful opportunity to express our condolences to beloved pet parents! So very beautiful....the sincerest expressions of love . The ache of truly loving a pet is forever but somehow it is a comfort as well. I am so grateful to have had the time with my dear dear Vachino. May God Bless us all and may He continue to place our sweet companions in our lives. Your site is wonderful and inspiring as well ! THANK YOU SO MUCH FOR SUCH A BEAUTIFUL SITE. THE CARD I SENT TO MY FRIEND WAS SO BEAUTIFUL AND THE WAY YOU ARRANGED IT WAS SO BEAUTIFUL ALSO. I CAME UPON THIS SITE BY ACCIDENT AND I'M SO GRATEFUL TO HAVE FOUND IT. HOPEFULLY I WON'T HAVE TO USE IT BUT IT'S COMFORTING TO KNOW IT'S THERE IF I NEED IT. Thank you so very, very much for creating this site! Having someplace to go to send sympathy cards to friends & family who have lost a beloved pet /family member is so nice! I know that when I send one of your cards to a grieving pet parent, they will appreciate not only the beauty of the card, but also the sentiments inside. May God continue to bring you much success! Thank you for creating this site. It is wonderful to know that I am not alone in the grief I feel whenever I lose a 'four-legged child.' So many people do not understand or think you should be used to it by now. They do not understand that every furry child is a unique soul we are privileged to know and grieve when they depart. Other people say 'that is why I do not have pets because I do not want to go through that pain.' Basically saying I am dumb for choosing to love an animal that will die before I do. I respond to that ignorant person with a smile and say 'The fifteen years we shared are worth every tear I will shed and the grief I will endure.' The poem Farewell Bridge captured almost exactly what we just experienced with Trinket my fifteen year old that just passed away 5/19/13. It comforted me to read your words...deepest condolences on the loss of your own furry children. What a lovely site, thank you very much. Thank you, for your dedication and love that you have for all fur babies. 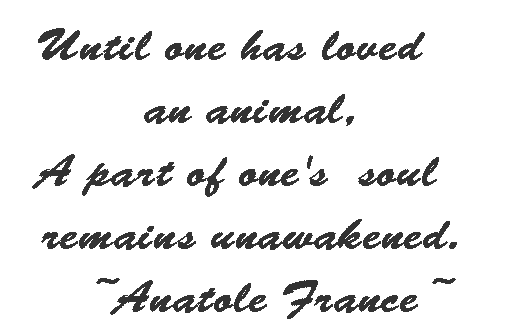 Immanuel Kant once said ' you can judge the heart of a man/woman according to his/her love for animals'. Your wonderful website surely reflects your heart. Also Carol Crandell quotes 'you don't heal from the loss of a loved one because the time passes, you heal because of what you do with the time'. May God be with you now and always. I was looking for the perfect card to send to a dear friend who lost her beloved cat Miss Elsie very early this morning, and I found it here. Thank you for your wonderful site. Miss Elsie's paw prints are indeed imprinted on our hearts forever. Thank you for this beloved site for my dear friend had her pet pass away to pet heaven & searched endless sites & came across this heart felt site with heart touching phrases & very easy simple to used & will tell friends & family of this site in this time of need. Thank you once again!! I saw the invitation to sign your book. I can barely see with all the tears. Your work is beautiful and heartfelt. Thank you for doing what you do and sharing what you have. What a wonderful site! I love all the verses. Thank you so much for caring and sharing!!! Thank you for sharing your beautiful poems. My beautiful Shih Tzu Gia collapsed, with no illness, on 1/10/2011. She was 11. We miss her so much and hurt so much. I feel so fortunate to have found this beautiful website. Thank you ! thank you for this real nice web page. I just sent one of your ecards to my friends who just lost there dog tigger. it is so nice to find a web page like this . thank you. One of my best friends just lost her fifteen year old dog and has been in tears all day. I sent a card from your website that I know will bring her comfort. Thank you so much...yours is the best website I've visited. Yesterday 02/13/2010 My WHFT Arlo left for doggie heaven, He was my life for 15 yrs 3 months, I miss him so much, Everyone that ever met him always commented on his big smile and laughter, He was truly a devoted friend, I had him from the moment he was born and fell in love with him instantly, We shared our lives togather, our walks and he loved to ride in the car. Arlo loved his dish of vanilla ice cream. His last meal on earth was steak and bake potato. He would sleep next to me every night and would lay his head on my shoulder or chest and just look up at me with his bright eyes to say 'I Love You Daddy'. We had a very special bond, My vet said he never knew a dog that was so loved and that I gave him a quality of life that most dogs he has met didn't get. He doesn't know how much Mommies & Daddies of WHFT love their children.The tears flow and my heart aches, but I know he is in heaven being a puppy again. My best friend just lost his wire fox Arlo after 15 years of devotion and love. I'm so glad to find your website and the beautiful cards will bring comfort to him in this time of sorrow. He will understand your loss. I write with tears in my eyes, although we lost our little dog nearly five years ago when she was over 16, we still miss her but try and think of all the unconditional love and joy she gave us. Thank you so much for your beautiful webpage. I have been looking and looking for the right card and verse. Then I found your site. It truly is the best, I thank you so much for providing just the right and perfect card at a time like this. I looked at several sites for pet loss cards before finding yours. Thank you for providing such wonderful e-cards! Your cards and verses are the best! What a lovely site.... a place for everyone that has lost a beloved furbaby to find a bit of peace and to know that others share the grief. Thank you for sharing your loss in such a way, that it helps others. Thank you so much for providing me the chance to send a dear friend a lovely card via your site. The words in the verse i sent was so perfect for her little dog BOYCEY. I,m sure she will love it. Once again thank you. Comment: My tears are flowing and like all people who have lost their loyal and loving best friend, I think this webpage is fantastic. I lost my 14.8 yr old beagle and miss him more than anything. I hope you are surrounded by memories and happy times now. Comment: Very helpful site. Thank's. Lost my Kimberly 4 days ago. Comment: I just lost my scottish terrier mikey and my life is at a stand still, i dont know how to move on. How did you move on? I have never felt this much pain, how did you deal with it? Please help me. Comment: Oh what a Godsend this website is. Just yesterday I had to say goodbye for the last time to my beloved Boomie, a 14 yr old mini dauschund. I am unconsolable for the loss right now, but just reading your loving poetry makes me realize that it won't always be this way. There will be brighter days ahead. Thank you for the hope and love you are spreading so unselfishly. I will wipe my eyes now and know that he is not really gone from me, he's just not here. God Bless You for sharing and having the strength and love to do this site. Comment: What a lovely site you have. Thank you for designing such beautiful cards with beautiful music. Comment: My sister sent me a card from your site, it was beautiful. Thank you Winnie, you know just how I feel. We lost our 13 year old Maltese on the 17th of September and we miss him so. But we will see him again at the Rainbow Bridge. Comment: We just lost our Wire Hair Fox Terrier yesterday. He was only 10 and a half. He was taken way too soon. Though we also love and include a terrier mix and a husky in our family, there is now a huge space left in the pack that only our Flash was able to fill. Thank you for the poems, they are very comforting. Please say 'Hi' to Flashy for us. Comment: I was touched by Beasley's website. We have a WFT that loves to escape the yard. We will be extra careful to not to let that happen in Beasley's memory. What a beautiful tribute to your beloved puppy. Comment: What beautiful dogs-but the love they have been given is incredible. My deepest condolences and thanks for giving us all the spirit to go on when we lose such a valuable member of our family. God Bless and thanks so much for sharing with me. Comment: You are all so beautiful! Winnie I know you had a good life with your guardian and I'm sure you are having a good time at Rainbows Bridge with all your new friends. Maybe we'll meet there some day. Comment: Winnie, my mother's little pom is named Penny. Say hello for us at rainbow bridge. Comment: I am sorry with tears in my eyes, I forgot to sign love to you, Winnie. Comment: Winne, what a beautiful home page. I sent your mom a card today. Say hello to my little pom Penny on rainbow bridge. Comment:Oh, the Wire Fox Terrier touches your heart so. I lost my wire fox Peanuts, back at the end of Nov 2005 after 14 of the most wonderful years. She was my guardian angel on earth & I still believe she watches over me. Bless You! Remy is too cute! Comment: As I sit here, tears rolling down, I feel your pain & sorrow. Our hearts go out to you as you grieve for the loss of your beloved Beasley. What a beautiful tribute you have given to honor his life, that was taken all too very soon. Comment:These poems are beautiful. I have sat here with my WFT at my feet with tears rolling down my face. They are here for such a short time. Comment: I feel so bad for your loss. I too have a special pets at Rainbows Bridge. I'm sure they are all playing together now..And I know the feeling of losing them much too soon. With My Deepest Sympathy. Comment: God bless you for making his 2 years of life the best.... I will keep you all in my prayers. Comment: What a wonderful tribute and album for a special boy. We are so sorry. We have always hated and feared metal monsters, but we really hate them now. Bless his heart. We will see him again in Heaven. Comment: Dear Friends, What a beautiful, touching site. I was moved to tears by the Beasley years. Comment: So very sorry to hear of your loss. Please know that better days are ahead and that Beasley knew he was well loved. Comment:A great tribute to a great dog! Comment: Thank you for sending me to this site. I miss my dear jack russell terrier Citi so much it hurts. Comment: You have a great mom, Winnie! Comment: Thank you for making this site. I love my dead pets. Comment: They will never know how to say THANK YOU. . Thank you for you people who love your little animals like you loved them.. Comment:I too lost my precious wft-willy last year. I will always miss him. Comment: Yesterday my mother decided to have our favorite Buddy put to sleep. He was almost 16 years old had alzheimers disease, blind and couldn't hear. Please pray for our family, for we just lost a beloved member of our family. Comment:What a wonderful collection of poems that I can definitely relate to at this time. Your collection has brought tears and comfort to me. Thank you. Comment: your Winnie is precious. Thank you for sharing him with us. My Kotie is now over a year old, yet I still miss Scruffy, to the point of tears. Kotie is his own little dog although he is all wire fox terrier, his personality is different from Scruff's. Comment: I know exactly how you feel. We lost our beloved WFT 2 weeks ago with cancer. We loved him dearly. This house is so empty- he was funny, smart, loving and always ready to play. There is nothing like a wft. They are a special breed. Comment:Your poems are beautiful. They fit with exactly how I felt about Gretchen. I'm going to see if I can get her picture on the site also. Comment: What a tribute to Winnie! Though your loss ran deep it released a beautiful talent within yourself. How brave you were to share this and bare your open wound. I am so happy you now have Beasley. Winnie must be smiling and thinking that lucky little dog. Comment: I've visited this site a few times but never signed the guest book. I think it is a beautiful tribute to your beloved pet. I lost my darling poodle Penny and I know how difficult it is to accept. Comment: Beautiful poems. They bring my little lost Obi closer to me. Comment: Your poems truly touched my heart. You have true talent and your poems spoke to me as no others have. Thank you for having this wonderul website. Comment: What a beautiful page and poem for your little boy, made me cry. I have three old Wires myself and two of them have weak back legs too so I know how sad it is. You did the right thing, now he's free and well on his legs again! Comment:Your love and care for dear companion Winnie is reflected so beautifully in his poem. It brings not only his positive outlook into the hearts of the reader, but reflects on the loving care that let joy flourish in your home. Thank you for the inspiring work. Comment: Thank you for this web site. Comment: Winnie must be a beautiful fur angel. Thank you for sharing. Comment: Thank you for the kind note. It's comforting to know that I'm not alone in my grief over just a dog... I'm sure Winnie was very helpful in showing Crystal around Rainbows Bridge! Comment: I really appreciate the e-mail guiding me to your site. Thanks for sharing with all of us that have lost our beloved friends. Comment: How wonderful of you to share your feelings with us. I thought the day would come when I wouldn't cry for my Penny but it still isn't here. Thank you for your lovely poems that I would write if I were so talented. Comment: such a beautiful poem. It says it all. Comment: What a great site!!! I luv your poems, even though I'm teary eyed!! Comment: Thank you for your wonderful words of comfort. They help immensely. Comment: Thank you for sharing your poetry, and your feelings with us - and to help us through these hard times - and we pray for you and your loss as we know how these precious little furry pets can touch our hearts. Comment: Thank you for the most beautiful poem you wrote at www.rainbowbridge.com. You gave your beautiful winnie a dedication of love. The Cozy Home poem made me cry but helped to comfort too. Thank you for your life Winnie! Comment: What a great web site. I am truly honored to be given such an opportunity for visiting.